Meizu is an underrated smartphone manufacturer, which is unknown by most of the Indian smartphone users. It’s not a fault of either parties, with smartphone space being so much crowded, this was bound to happen. Which is why we suggest you to take a look at Meizu M3s, its a beautifully designed handset that gives premium-ish in-hand feel. Talking about the Meizu M3s specifications, it packs an Octa-core processor, which is accompanied by a 3GB RAM and 32GB internal storage. There is a 13MP rear camera and 5MP front facing camera, which makes it worthwhile of the price tag it comes for. Do you want to know the Meizu M3s price? Well, it’s priced at Rs 7,999. It has a fingerprint sensor, which makes security woes on this one goes away. 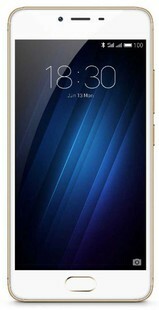 Meizu M3s 32GB full specs and reviews as of Apr 2019. Buy it here!